This is why you have a Trade Machine membership. When the market shifts, we need a minimum amount of data to adjust, and succeed -- now we will. This is our time. It's time to take advantage of volatility. Fear, uncertainty, doubt, unclear news headlines -- these are all trade-able events, at any time, without concern for earnings. 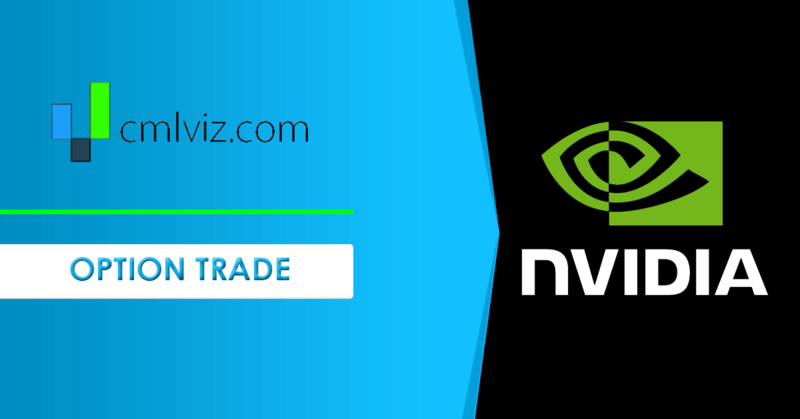 Today we look at exactly what has worked in Nvidia (NVDA). Here is a chart if NVDA's 30-day implied volatility (IV30®). We can see it is in the 47th percentile, so right in between the 52 week low and high. We will examine the outcome of going long a short-term at-the-money (50 delta) straddle, in options that are the closest to seven-days from expiration. But we have a rule -- it's a stop and a limit of 10%, and, we back-test re-opening the position immediately, as opposed to waiting for 7-days later. ➡ The average percent return per winning trade was 32.1% over each few day period. ➡ The percent return per losing trade was -16.7% over each few day period. This is why you have a Trade Machine membership. When the market shifts, we need a minimum amount of data to adjust, and succeed. This is how people profit from the option market.